The Fairfax County Board of Supervisors earlier this month endorsed a developer’s application for 44 new residential homes known as the Lofts At Reston Station, near the Wiehle-Reston East Metro station. Supervisors are touting the Lofts as “a new urban neighborhood,” and the first development of its kind in the area northeast of the Metro stop, according to an announcement from the county. Pulte Homes will bring the Lofts to 1.58 acres at 1825 Michael Faraday Dr., south of Sunset Hill Drive, which is just a third of a mile from the Metro station’s north entrance. The space is currently occupied by a one-story office building and a parking lot. The 44 new homes will consist of 12 townhomes and 32 apartment units. The development, according to the county, will “begin to establish the local street grid for this area of Reston,” which is a highly-sought-after area for developers as construction continues on the Silver Line. 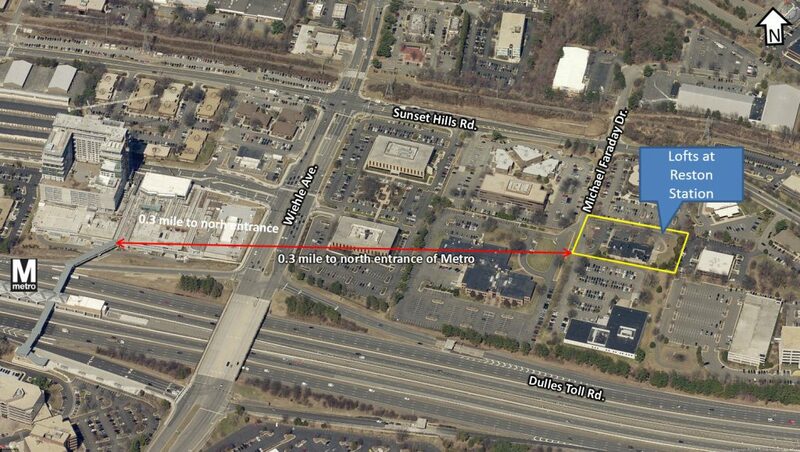 Pulte will extend Michael Faraday Drive and Reston Station Boulevard along their property. Supervisors also said Pulte will contribute $44,000 toward construction of a future traffic light at Reston Station Boulevard and Michael Faraday Drive.